Ginglymoid and ginglyform are infrequently invoked anatomical terms that derive from the Greek γίγγλυμος for a hinge. These skeletal structures refer and describe specifically to the type of joint that permits movement along one plane only—like the knees and elbow, differentiated from the ball-and-socket joints of the hips and shoulders, which were dubbed synovial by Paracelsus, most likely arbitrarily. Well before the stellar—and perhaps ultimately not unlike the ascent of Icarus—rise of one form of trusted electronic money that we are presently witnessing, there were quite a few antecedents including the primogenitor, DigiCash, invented by computer scientist and cryptographer David Chaum back in 1989. Very much ahead of its time, Chaum’s idea evolved from a need he recognised in 1982 to protect the privacy of individuals conducting online transactions and devised a way to digitally commit to a deal by negotiating between public- and private-key security that was selective about the exposure of details and terms. The early form of electronic payments and exchange was wholly anonymous thanks to a system of protocols maintained across a network, much like its descendants. Though Deutsche Bank was one of the currency’s early-adopters, DigiCash went bankrupt in 1998 having come to the market prematurely, before the integration of the internet with electronic transactions which lagged behind. E-commerce is older of course than on-line shopping with clearing houses for bank transfers, automated teller machines and credit card infrastructure but it’s really amazing to think how different our relation to money and trade was back then and how little the underpinnings have changed. 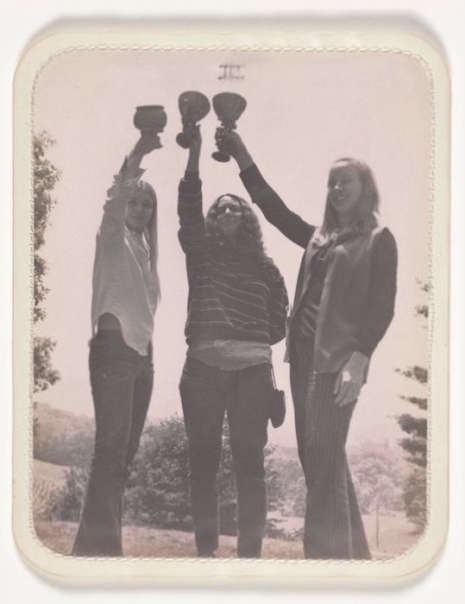 Well prior to digital image editing, art student Bea Nettles undertook in the early 1970s the project of creating the first complete tarot card deck in photographic form. The Mountain Dream Tarot was an inspired vision and the resulting suits, not just the trump cards of the major arcana—improvised, intuitive and idiosyncratic but following the standard, established iconography—evoke a haunting feeling in keeping with the esoteric nature of cartomancy and employ models, props and backdrops from Appalachia. 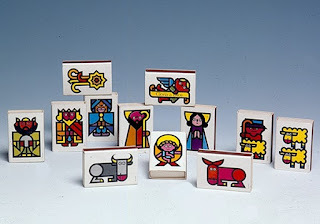 The fifty six cards of the minor arcana (whose production must have been painstaking and required dedication and planning) are the wands symbolising the peasant class and the faculties of creativity and willpower, the coins or pentacles representing the merchants and material possessions and physical health, the cups or chalices of the clergy for emotion and love and finally the swords of the nobility or the executive that represent reason. Be sure to check out the link up top for more information and to see a whole gallery of the cards. 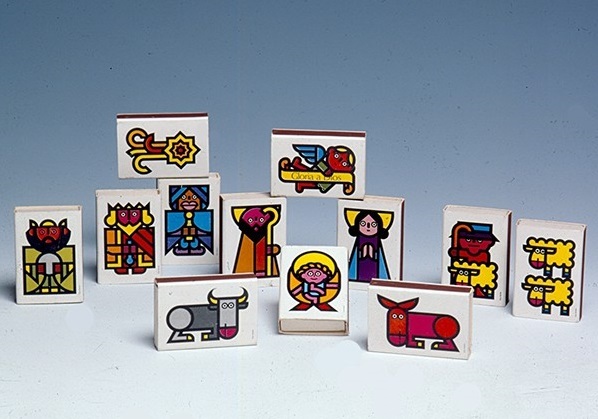 We thought that this matchbox Nativity scene designed by Pepe Cruz Novillo in 1968 for the company “Fósforos del Pirineo” was a strikingly cute ensemble. Novillo designed logos and icons for the post office, railways, political parties and the police forces in his native Spain as well as designs for peseta notes and is worth the effort to seek out, recognising how Novillo’s ubiquity and style lent the country a sort of corporate brand. 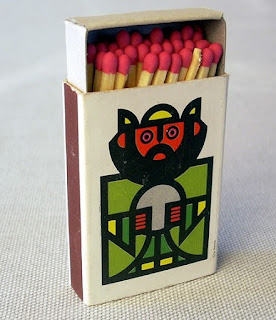 The safety match company is still in business and served as a canvas and experimental format for artists for decades. I realize that this Nation often tends to identify turning-points in world-affairs with the major addresses which precede them. But it was not the Monroe Doctrine that kept all Europe away from this hemisphere—it was the strength of the British fleet and the width of the Atlantic Ocean. It was not General Marshall’s speech at Harvard which kept Communism out of Western Europe—it was the strength and stability made possible by our military and economic assistance. I think we here in this country, with the unselfish spirit that exists in the United States of American, I think we can do better here also. If we believe that we, as Americans, are bound together by a common concern for each other, then an urgent national priority is upon us. We must begin to end the disgrace of this other America. 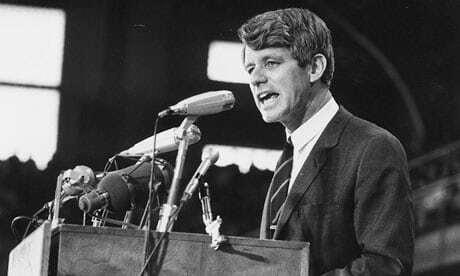 And this is one of the great tasks of leadership for us, as individuals and citizens this year. But even if we act to erase material poverty, there is another greater task, it is to confront the poverty of satisfaction—purpose and dignity—that afflicts us all. Too much and for too long, we seemed to have surrendered personal excellence and community values in the mere accumulation of material things. Our Gross National Product, now, is over eight hundred billion dollars a year, but that Gross National Product–if we judge the United States of America by that—that Gross National Product counts air pollution and cigarette advertising, and ambulances to clear our highways of carnage. It counts special locks for our doors and the jails for the people who break them. It counts the destruction of the redwood and the loss of our natural wonder in chaotic sprawl. It counts napalm and counts nuclear warheads and armored cars for the police to fight the riots in our cities. It counts Whitman’s rifle and Speck’s knife, and the television programs which glorify violence in order to sell toys to our children. Yet the gross national product does not allow for the health of our children, the quality of their education or the joy of their play. It does not include the beauty of our poetry or the strength of our marriages, the intelligence of our public debate or the integrity of our public officials. It measures neither our wit nor our courage, neither our wisdom nor our learning, neither our compassion nor our devotion to our country, it measures everything in short, except that which makes life worthwhile. And it can tell us everything about America except why we are proud that we are Americans. 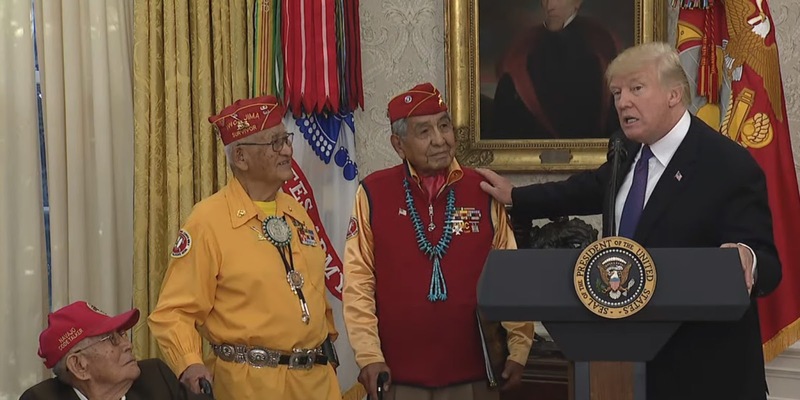 As part of National Native American and Pacific Islander Heritage Month, Dear Dotard invited honourees for a reception at the White House whose role as Navajo code-talkers helped relay planning and operations messages between theatres in a fashion impervious to enemy interception. 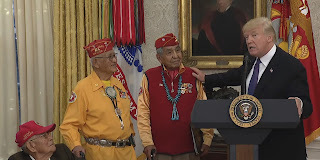 Despite the poor optics of holding the exchange squarely underneath a portrait of Andrew Jackson—a rather monstrous individual who as president signed the Indian Removal Act in 1830 and displaced millions on the Trail of Tears, the event seemed fairly well contained and not in danger of derailment—until Trump went off script, presumably recognising that the Navajo tribe were in fact not migrants. “You were here long before any of us were,” he said but unable to resist tossing out a racial slur directed at an opposing voice: “We have a representative in Congress who they say was here a long time ago. They call her Pocahontas.” I would imagine that the collective response of the Native American community would be that difficult to decode. 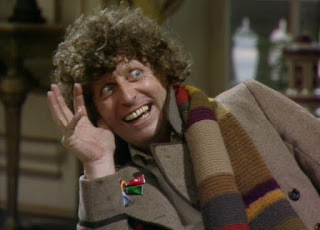 Veteran actor Tom Baker—we learn via Slashdot—will reprise his the role he’s best known for as the avatar of the fourth Doctor to complete a mini-series authored by Douglas Adams. The Shada arc of narrative, meant to be the concluding episodes of the long-running programme’s seventeen season, had to be abandoned back in 1979 due to a writers’ strike and never revisited for fear that production time would cut into holiday scheduling commitments. Missing scenes have been filled with animated vignettes, voiced by Baker and his companion Time Lady Romana, Lalla Ward, and revolves around a mysterious prison planet and its inmates that the Gallifreyans built to house the Cosmos’ archest of villains. As part of a series of profiles on colours and their surprising origin stories (previously), we enjoyed reading about Katy Kelleher’s favourite—the blue of blueprints, van Gogh’s Starry Night and Hokusai’s Great Wave—the profound but wholly synthetic and accidental Prussian Blue. As a colour—with medical applications later discovered that make the compound part of every first aid kit—it was discovered accidentally when one Doktor Johann Conrad Dippel was sharing a Berlin laboratory with a pigment-maker and was mixing up a batch of his signature bone-slurry. The alchemist—who many believe was the inspiration for Doctor Frankenstein, and there was some inadvertent cross-contamination which turned suspected ruddy hues to an intense blue. The timing of the discovery perfectly filled a market gap at a time when dyes and pigments were expensive and not particularly colour-fast and became a very lucrative mistake for both involved and quickly augmented the spectrum of the art and textile world. As Slashdot reports, there’s been a flurry of speculation that the secret identity of the creator of bitcoin who goes by the alias of Satoshi Nakamoto is none other than visionary inventor Elon Musk. 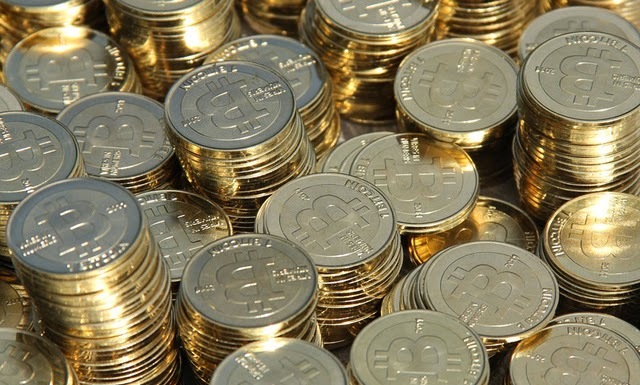 The arguments strike me as pretty persuasive and suggest that Musk created the medium of exchange to fund his space-faring ventures and to give future colonists a monetary system untethered to terrestrial governments, and has been discreet about his alternate platform as he had already been sufficiently disruptive to moving money with earlier his invention of Paypal and bitcoin is not exactly complementary to the system of trust and transparency underlying the electronic payment system. 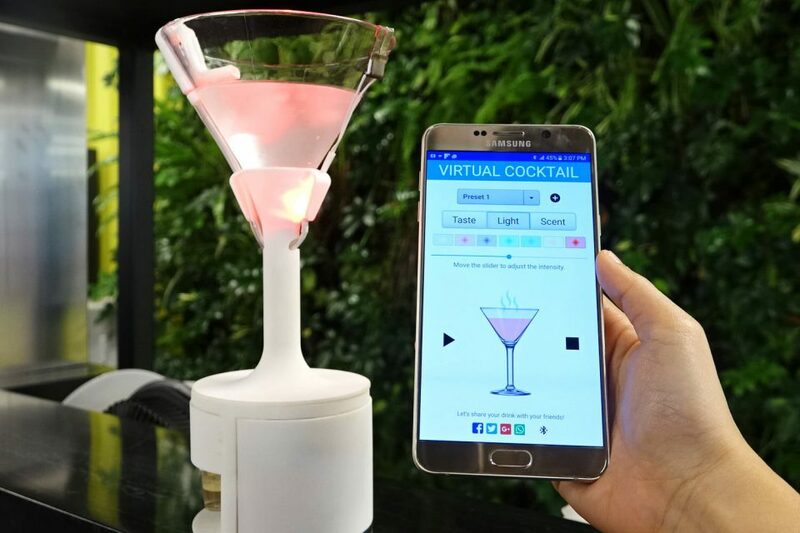 There was a study, survey published earlier this week—from the British Medical Journal and not some suspect source desperate for some viral break-through—that’s really been cycling around in my head as I’ve encountered different citations on how different types of alcoholic beverages elicit different emotional and physical responses from drinkers. The result of changes that had been under consideration for over three decades, the archbishop of Uppsala, the head of the formerly state-sponsored Church of Sweden (the organisation became independent in 2000), announced that as the nature of God surpasses human understanding and the conventions and trappings of gender, that God will as of Pentecost (Whitsunday, Pfingsten) next be simply God, with no gendered qualifiers. The term Lord will also be struck from Church liturgy. I suspect God endorses this decision. Sweden linguists two decades before the Church began to contemplate the reform suggested in 1966 that the gender neutral personal pronoun Hen be adopted (like they and theirs) as an alternative to Hon (she) and Han (he). 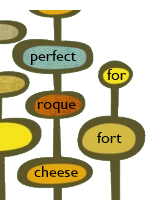 Not only is the number of the alternative in agreement grammatically, it is inclusive and does not call on those addressed with it to acquiesce that they are different or being contrary. Stylistically, this construction has not replaced its forebears (first attempted at the turn of the century, Spivak pronouns attempt to swallow or elide over the quibbling between his and hers) but also does not sound wholly out of place in any context. Taking a cue from Paul Anthony Jones celebration of forgotten words, The Cabinet of Linguistic Curiosities, the BBC’s Culture section has curated a selection thirty terms rescued from obscurity by a dedicated panel of academics pouring over antiquated reference materials and there’s plenty to delight and worth returning to common-parlance from all sources. One of our new favourite ideas came with the title’s turn of phrase: like the cartographer’s phantom trap-street that were embellishments added to maps which didn’t exist and would catch plagiarists in the act, a mountweazel is a fictitious entry added to dictionary or encyclopædia that would similarly expose a copy-cat researcher. The original Ms Mountweazel was given a professional calling and a tragic fate, due to an occupational hazard, and we wonder if the deterrent, if better known, might not be elaborated further and have biographical standing in her own right. Be sure to peruse the registers and let us know your new favourites and your plans to re-introduce them. 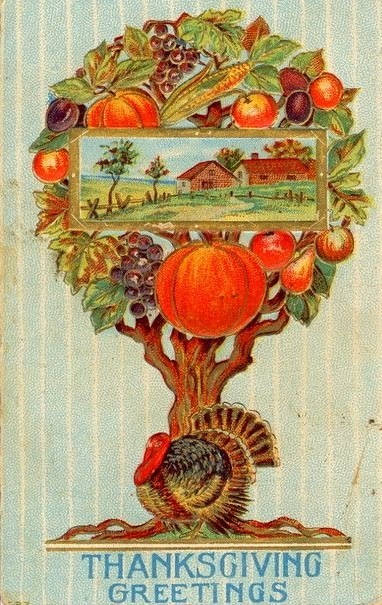 While we hope for our American readership that the family gathering presented an opportunity for constructive political dialogue and not abject avoidance of potentially incendiary topics that no matter how dicey do need airing, there was a time when the movable feast of Thanksgiving was itself an even more a divisive, partisan issue, as Atlas Obscura recalls. With the US still recovering from the economic downturn of the Great Depression, president Franklin Delano Roosevelt conceded to the pressure of retailors, fearing a shorter Christmas shopping season had the tradition of proclaiming the last Thursday of the month of November to be a national day of thanksgiving been kept, and changed the date of the holiday. FDR’s decision caused disruption, as expected, and drew ire that followed party lines with twenty-two states celebrating the on the new date and twenty-three on the old date that year. The move garnered the president a lot of criticism with some claiming it represented an abuse of executive powers and earned sobriquets like the “New Deal Thanksgiving” or “Franksgiving,” an affront to the “Republican Thanksgiving” as Abraham Lincoln had intended it, with some states still observing the old style date until the mid-1950s. As with most legislation, it took an act of congress to settle matters and align the whole country’s calendars. 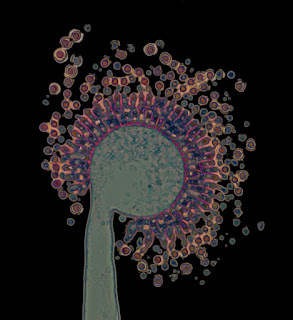 Kottke directs our attention to the new publication by microbial researchers Scott Chimileski and Robert Kolter called Life at the Edge of Sight, an exploration of the profusion of activity that just barely resides on our level (unaided) of the perceptible and how studying that world has led to a greater understanding of our own macroscopic lives. The book also showcases the photographic talents of the former in framing and capturing such displays whose patterns and organisation seem universal and scalable. Specialising in installations that incorporate up-cycled materials, Danish artist Thomas Dambo and crew has since 2006 constructed more than thirty-five hundred bird houses in urban centres. 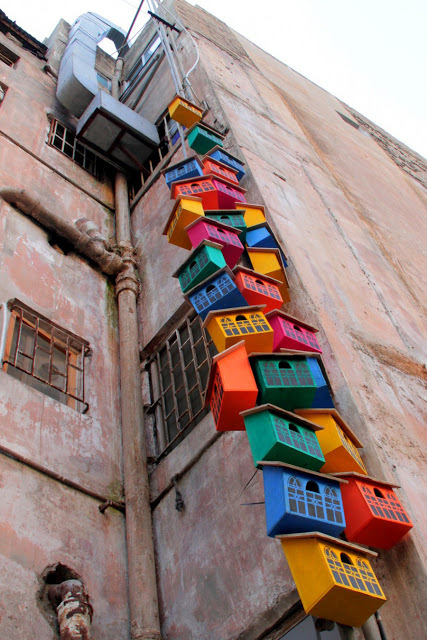 Though the majority are concentrated in the artist’s home turf of the ARKEN museum campus outside of Copenhagen, the Happy City Birds project has built shelters in towns across Denmark and expanded abroad to include places such as Beirut and Berlin. Wishing you and yours a very peaceful and bountiful Thanksgiving. As always, we appreciate your stopping by and there is room at the table. Remarkably, ten out of twelve UK water utilities admit to resorting to dowsing when it comes to looking for leaking pipes. Despite volumes published to discredit the pseudoscience behind this type of divination, belief in its efficacy has persisted for centuries and the nervous energy, the ideomotor effect, that causes the rods to dip is the same sort of pretend-mediumship that pushes a planchette around a ouija board and probably ought not be the basis for diagnostics or repairs. Via Slashdot, we learn that the Federal Communications Commission is not only going to dismantle the framework of net-neutrality that ensures no enterprise is privileged over another on the internet, the windfall legislation for Internet Service Providers and content-clearinghouses also will contain language that prevent state and local governments from enacting protections to replace those slated to be repealed. Because broadband crosses state boundaries, only a federal entity has jurisdiction and feedback from the public and municipalities was rebuffed and summarily dismissed. The extent of the pre-emption authority remains in question and may not only apply to throttling and blocking but perhaps also to locally developed laws that protect users’ privacy and integrity of data, possibly limiting the exposure of corporations to liability and law suits for sloppy handling of our information. 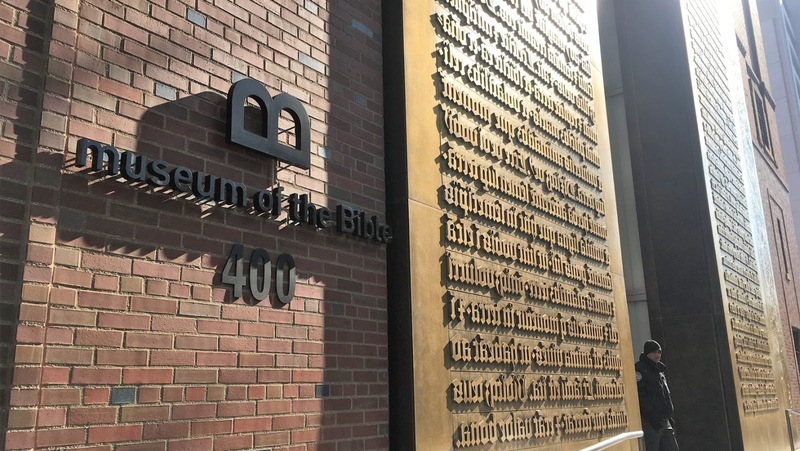 Admittedly sight unseen and despite the apparent participation on the part of an interfaith consortia of holy collections willing to loan relics to the new museum to showcase, the curatorial staff of Hyperallergic, we believe, are right to be critical of the privately owned and operated Museum of the Bible just opened in Washington, DC, concerned for its scholarship and presentation. 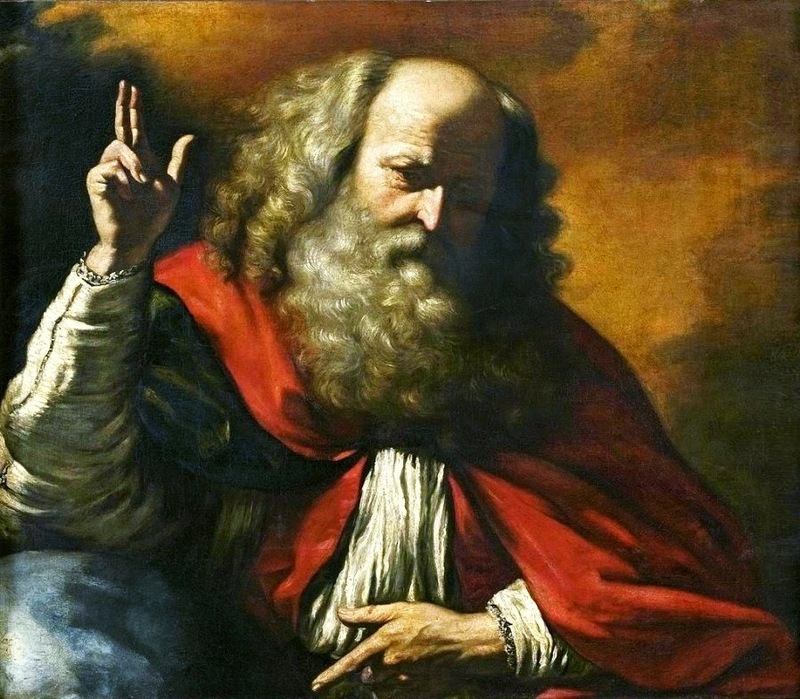 Many creeds claim the Bible in different ways and the narrative of Protestant evangelicals ought not to be privileged lest we want to validate these internecine characterisations that limn Christianity as monolithic as an accurate one. 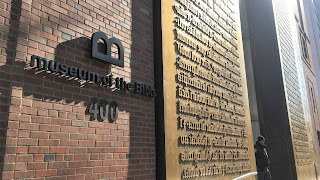 To have the status of museum accorded to an institution rather than reptile farm or amusement park comes with responsibility, and many traditions come out of one book. What do you think? Perhaps our concerns are too rarified and give the founders more credit than due as I suppose the property is just going to be used as a backdrop for selfies and a venue for gala events (notwithstanding the dubious authenticity of some of the artefacts and how this secretive provenance encourages looting and plunder) and though the collection is accessible to the public (for an admission price that enriches the coffers of the founders), it appears very much like the same sort of vehicle for tax-avoidance as those cavernous freeports that house the world’s biggest though off-limits galleries. The collection’s curriculum is hard to define and may indeed be just incidental to the tax-exemptions and concession-sales it brings but it does seem to be provocative with its statement that the US is a Christian nation governed by evangelic morality. There’s always been corruption and black-markets but once there is government endorsement of such behaviour (hiding under the ægis of religion), we all stand to lose as greater austerity and sacrifice is justified with less tax-revenue coming in. 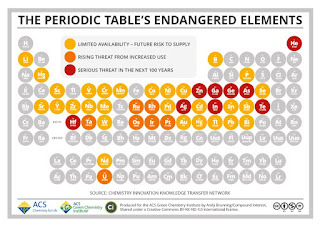 Extracting treasure from the Earth is very dirty business—only exacerbated by our insatiable drive to eke out just a bit more profit informed by chemistry. Humans are slowly coming to terms with the idea that the planet has finite resources, and until it becomes commercially viable to mine asteroids (I’d argue that that time has arrived since it might spare us some of the scars of excavation and render the advantage that scarcity confers meaningless—or at least make it something aspirational) there are quite a few strategically significant elements that are in danger of running out, as illustrated on this period table. As we learn the consequences of treating our home as if it were inexhaustible, we are also on the verge of realising that our lifestyle (outfitted with electronic components that require certain amounts of these endangered) is not sustainable. It’s especially disappointing to consider we might be sacrificing future spaceships and foregoing genuine technological progress for the sake of baubles and charms whose potion calls for a dash of indium and a pinch of hafnium. 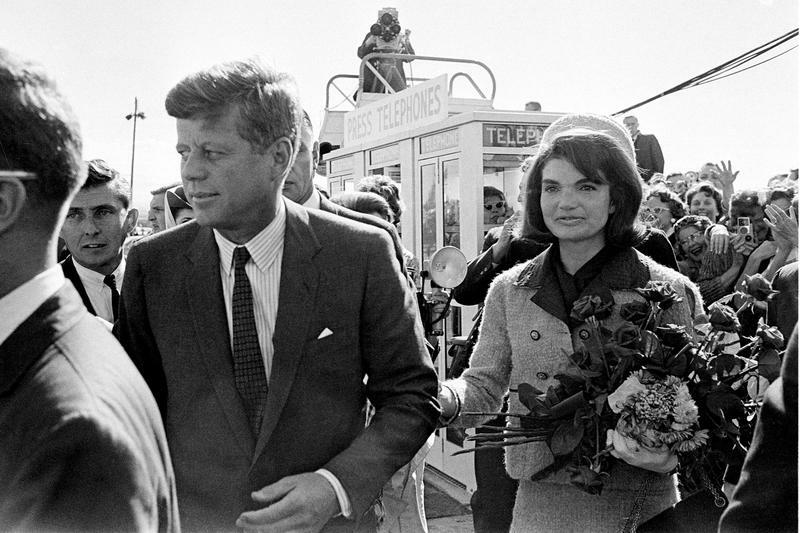 Suppressing a potential military coup in East Germany, Soviet forces blockade West Berlin—an act that NATO forces interpret as an act of war and responds in kind. Things escalate rather quickly with Russia pushing towards the Rhein and nuclear bombs used on the US Army bastions of Wiesbaden and Frankfurt. As the war expands beyond the German frontier, a nuclear exchange takes place, culminating with a high-altitude burst that results in an electro-magnetic pulse that disables the remaining technologies that the survivors of the first strike can avail themselves of. 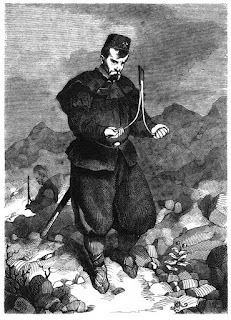 The director, Nicolas Meyer (also known for his cinematic Star Trek adaptations), reported suffered influenza-like symptoms during production, and when doctors could find no somatic cause, they determined Meyer was suffering under a bout of severe depression due to having to contemplate the horrors of war. 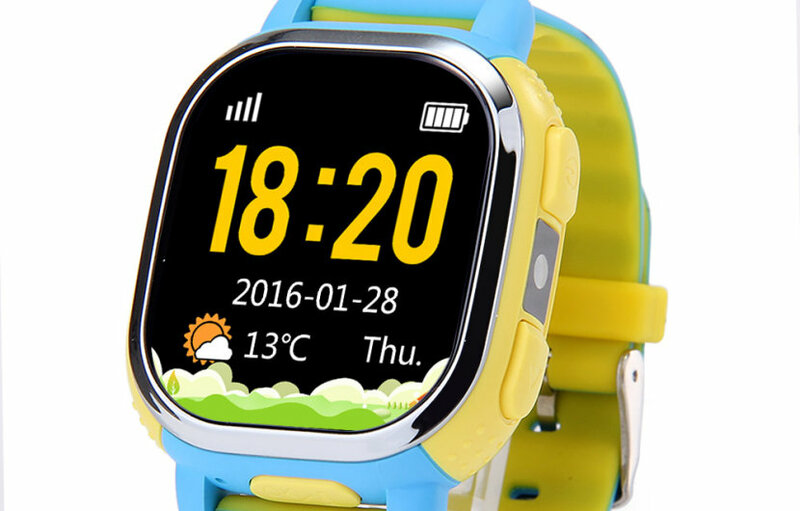 Citing serious privacy concerns that not only include the harrowing prospect of potential kidnappers tracking one’s children’s routine and whereabouts but also concerns that parents may be using the devices to monitor their children’s teachers, Germany has banned their sales and wear by young children (EN/DE). 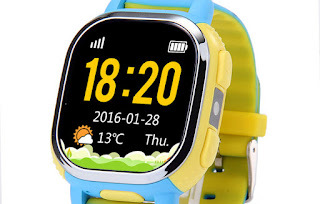 The watches were originally marketed to children between the age of five and twelve with the pitch that they’d instil a lifelong commitment obsession with keeping active but as cheap devices saturated the shops many fell short of security safeguards meant to protect the safety of users. have you considered getting a machine to do that for you? 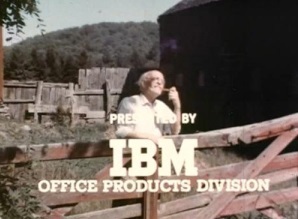 Ahead of the debut of its Selectric typewriter—which had the revolutionary labour-saving enhancement of a magnetic tape for recording and playback of keystrokes—IBM engaged master Muppeteer Jim Henson and composer Raymond Scott to—rather prematurely, usher in the end of drudgery and tedium with a promotional short-film. Despite the cheerful, liberating message, there is a sinister sense of apprehension just below the surface that reflects how society had as much a tenuous time grappling with automation as they do with machine learning presently. The same reassuring words that “machines should do the work and people should do the thinking” might still apply but we might be hurtling towards a time when our virtuosity might become second fiddle. Soberingly, we are reminded via Slashdot of another dirty little secret underlying climate change and those compacts meant to stave off the sort of run-away changes that would render the Earth a very inhospitable place compared to what we’ve grown accustomed to insofar as the targets and pledges are not only calling for a severe curtailment in carbon emissions but are also contingent on taking that surplus carbon-dioxide out of the atmosphere. It’s not an impossible feat and we can rise to the occasion (despite ourselves, and maybe cleaning up the past is in some ways easier than the paradigm shift needed for going forward) but the amount to sequester from the environment represents something on par with the industrial output of the past two decades and the technologies to accomplish this feat are only just emerging. The fact that the Paris Agreement was negotiated knowing this rather grim calculus only makes me more hopefully for the audacity of ingenuity. 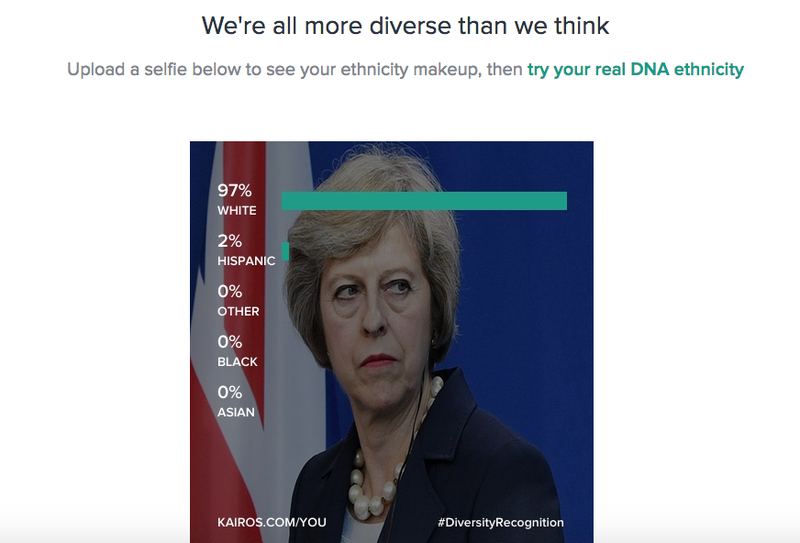 Via Dave Log v. 3.0, we are introduced to an algorithm that will calculate one’s heritage based on the composition and pattern detected in user-submitted, candid photographs. One is then invited to participate in a more scientific post-script by submitting DNA swabs into the company to discover and embrace the richness of one’s diverse heritage. Of course, this is far from a ringing endorsement since there’s junk science all around and it’s the conflation of race and ethnicity with genetics that’s been confounding society both before and after we’ve had the background and literacy to couch it in sensibly and remains a stubborn wedge of contention despite attempts to try to reclaim some maturity in discourse. Is it some harmless fun? Or is it one of myriad routes to capturing a target demographic who are swayed by the false importance and false sense of certitude of such things? I was disappointed at the outset to be told be told that I was a whopping eighty-five percent white (whatever that means) myself. Don’t contribute to the dissolution of culture and civilisation and spread stuff like this uncritically. Internet, we are disappoint. In the wake of learning of the huge cache of Pentagon intelligence compromised when it was uploaded to a commercial cloud computing network with one contractor having the oversight to change the classification-level (privacy-settings) of an unconscionably vast amount of documents, another, developing story of how those National Security Agency software and system exploits were intercepted and put to work not just as a backdoor access platforms at will but now at the disposal of the criminally-minded, ransomware and a potent means to disable utilities and infrastructure seemed even more resonant. It’s unclear whether all those Pentagon files were migrated to the cloud out of convenience sake or what, but a policy change and architectural limitation prompted the change at the NSA that led to these devious secrets to be let out. Aware how pernicious these techniques could be if they weren’t just available to the good guys, the NSA compartmentalized them under the category of ‘exceptionally controlled information,’ not according the files a digital existence, reference material check-out and return to be stored in locked safes overnight. 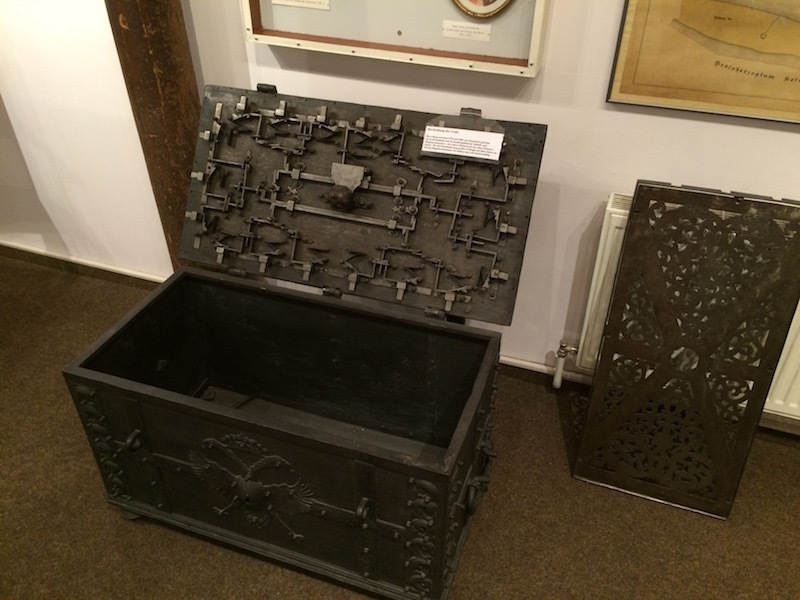 With the profusion of cyber warfare and expanding techniques of keeping tabs on others, the number of strongboxes and vaults needed to store all this printed data grew as well. Eventually, the NSA building where these files were kept began to groan under the weight of the all the safes and structural collapse seemed eminent. Protocols were relaxed and locked, non-segregated filing cabinets were allowed and shortly afterwards, those offensive cyber weapons were not clandestine any longer. Via Inhabitat and as part of Dezeen’s series of good design for a bad world we discover that a Dutch engineer has created a prototype lamp that works symbiotically with a living plant to produce light as a by-product of natural cycle of photosynthesis. 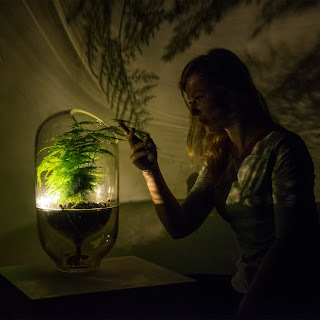 Microbes in the soil of this terrarium breakdown the organic compounds that are the surplus catalysts of plant’s nourishing itself and the lamp harnesses a part of that bacterial fuel cell to power a meagre glow. Such technology does not just yield a novel night-light but rather is infinitely scalable and entire cities could derive a significant portion of their energy from adjacent woods—making the notion of re-forestation not only seem more valuable—as it was prior to the Industrial Revolution as a source of quarry, fuel and building material, but as an absolute mandate, delivering as a bonus all the benefits of having more wooded areas and home to all the species that they shelter. Fields growing food crops could also be conscripted into double duty, providing electricity in a sustainable manner as well as feeding a given population. We’re grateful to Dangerous Minds to introducing us to award-winning artistic collaborations of the Swiss duo of Peter Fischli and David Weiss († 2012) by way of their non sequitir hijacking of the Times Square Astrovision screen in 2001 and having it display instead of the usual advertisements and news-crawl a footage of a very sedate cat lapping up milk from a dish—for six and a half minutes. 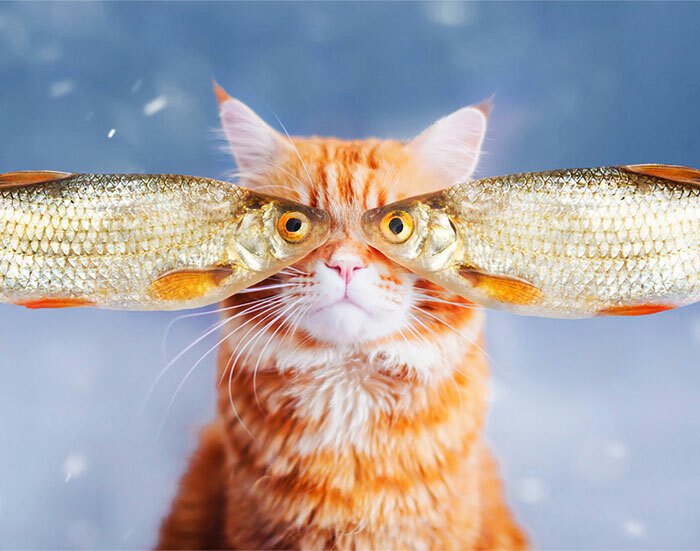 February of 2016 saw an abbreviated revival with the video—in a sense the original cat video though there are of course antecedents,with a three minute version gracing some sixty screens at once at given intervals. The artists are arguably best-known for their Rube Goldberg-like chain of mechanical causality cinematic deconstructionist performance piece called The Way Things Go (Der Lauf der Dinge), whose usque ad aras telescoping enjoys some physical avatars as permanent exhibits, including one in the Wiesbaden Museum that I will have to examine again with newly found appreciation. The curators over at Hyperallergic take a closer look at the rather controversial, record-setting auction of a painting attributed to Leonardo da Vinci and its buyer—unnamed but surely a member of that exclusive set of the highest percentile of wealthy oligarchs—who through the acquisition and trade of such treasure exert pressure on both geopolitics and the art world by inflating the price of such works beyond the endowment of any museum. 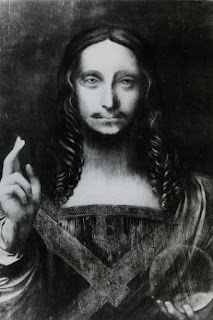 Indeed, the provenance of Salvator Mundi (Saviour of the World, a theme in Christian iconography) is uncertain and the attribution to Leonardo is recent and based on only on some signature pentimenti and is perhaps at best a piece from the master’s studio with a touch of his instruction. If the identity of the seller, a Russian billionaire potash-magnate and philanthropist, sounds familiar to anyone, it could be over a real-estate transaction with Donald Trump and a long-standing reputation of using art to shield his monetary wealth from others. Outside of the cost-range of the world’s museums, the painting is probably destined to return to the cavernous bowels of the freeport from whence it briefly emerged until next time it’s swapped among the plutocracy. Via the always discerning Nag on the Lake, we are introduced to a clever gadget—a virtual cocktail glass—that uses a combination of lights, wafting aromas and most importantly a mild electric stimulation to the tongue and taste buds to convince us we are experiencing flavours that aren’t really there. What do you think? This gustatory hallucination apparently can transform a glass of plain water into a fine scotch, and I suppose as the technique becomes more refined and shared widely, it will be able to recreate the most subtle notes and expressions for those who cannot or should not partake of adult-beverages and seems like a better substitute than having a mocktail. Betraying an a mild arithmomanic tendency by finding and enshrining the number twelve in human humours and anatomy, we enjoyed the introduction to one Doctor Alesha Sivartha (the pen name most probably of a Kansas country physician Arthur E Merton) and his graphically striking if not of great literary or scientific merit—as so many books on theosophy with contrasting or complementary theories were being published in the same era—Book of Life: The Spiritual and Physical Constitution of Man. 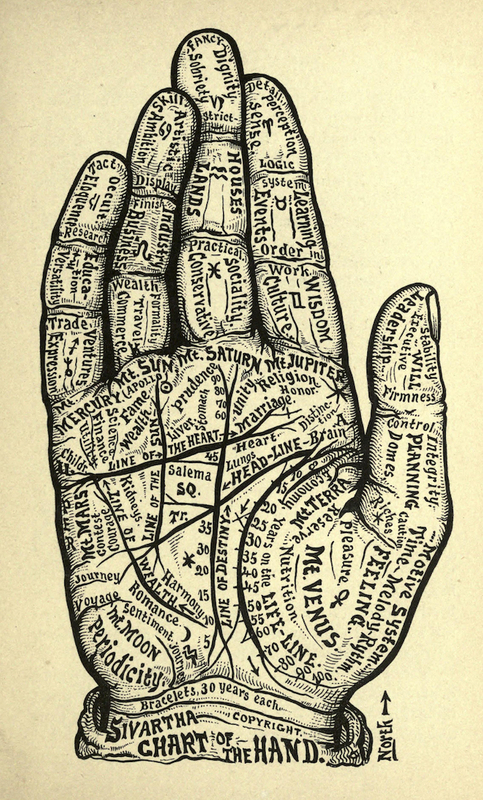 The charts and diagrams certainly do espouse the convoluted heraldry of palmistry and phrenology (click to enlarge) more effectively than most other, wordy treaties on similar topics and offer an enticement for further study. Despite the profusion of such works and some outmoded notions that really date the good doctor, there’s a systematic approach to be found and an enduring legacy attached to it—maintained by one of Merton’s decedents, which can be found at the source link above. 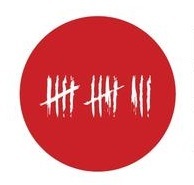 The PEN International foundation—the acronym originally standing for Poets, Essayists and Novelists, which I never realised, sort of like TED Talks (Technology, Entertainment, Design)—has since 1981 designated this day as a time to honour and support writers who speak for those silenced, fight against oppression and for the freedom of expression, often to their peril. 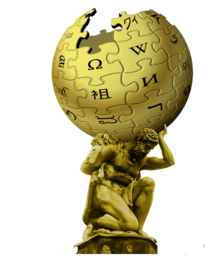 Such gadflies, imprisoned or censored, have been supported by the organisation since the 1960s with special committees formed to advocate on behalf of inconvenient dissenters, but the Day of the Imprisoned Writer was established to show solidarity and to showcase the profiles of courageous individuals that speak up. The day has now also come to commemorate all the journalists killed in the line of duty between this November and last November. 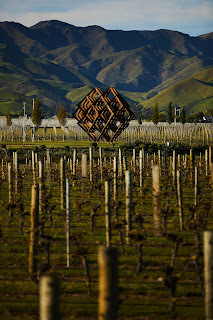 Deezen reports how the New York design studio of Dror Benshetrit permanently installed a giant wine rack for the vineyards of Brancott Estate in the Marlborough region of New Zealand’s South Island. The geometric structure reflect the tidy grid of plants that the diamond-shaped frame towers over is titled Under/standing from a point of view posited by Buckminster Fuller that to truly understand an undertaking, one had to build it and stand underneath it—which is surely an inviting vantage. 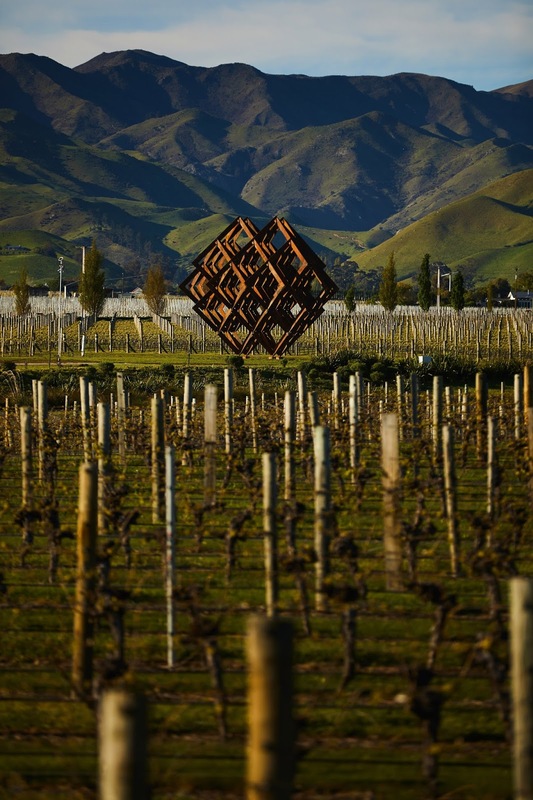 Viniculture has only been practised in the area since the 1970s but due to the strong contrast between hot, sunny days and chilly nights, the wines of Marlborough quickly garnered international renown for its unique and strong expressions. We appreciated being introduced to the philosophical tenants of bicameralism, which author and psychologist Julian Jaynes developed in 1976 best-selling work The Origin of Consciousness in the Breakdown of the Bicameral Mind. 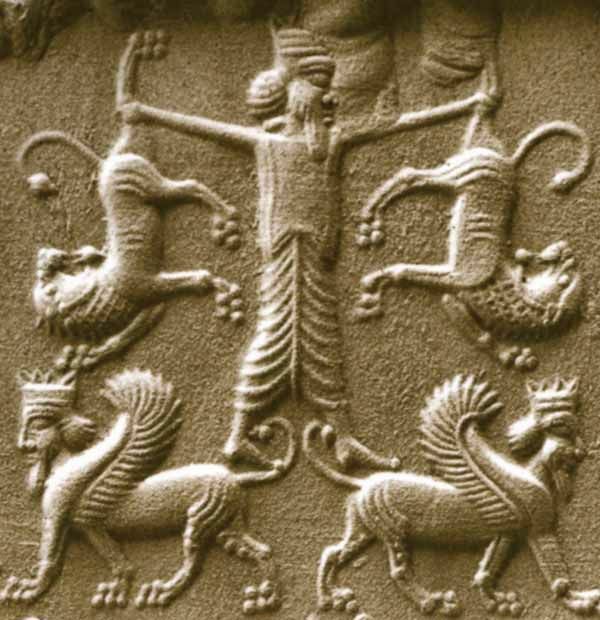 Though the hypothesis, which holds that at the cusp of prehistory the human mind was in a divided state where functions are discrete and an individual would interpret cognition as one hemisphere as dictating orders and the other side as listening and obeying, is now generally not accepted by the scientific community it did appeal to me like the idea that consciousness is the brain’s response to the forces of entropy trying to tear down its complexity. Jaynes goes on to expound that the two chambers of the brain were not wholly disconnected and inaccessible to each other but rather that his supposed bicameral mind of the ancients experienced thoughts in a non-conscious way, being directed externally rather than exercising volition though commands emanate from the same source. Humans only truly became self-aware and consciousness emerged once the gods stopped speaking. What do you think? The epics do indeed contain volumes of encounters with the gods, disembodied voices and divine inspiration—but little textual evidence for introspection and reflection. 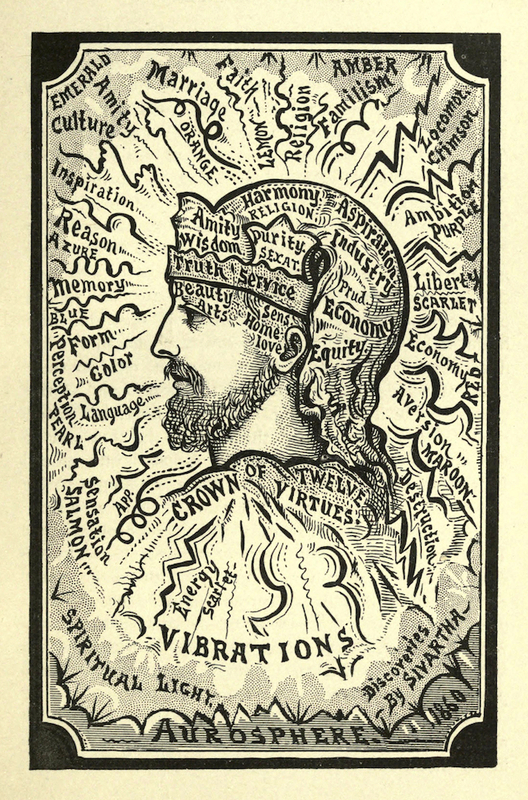 The notions of being partial to left-brain/right-brain tendencies is enjoying a resurgence as are the possible relics of bicameralism of in mindfulness, religion, trance, hypnosis and deferring to outside authority. With our yard overwhelmed once a year with toads creeping to the pond to spawn, this selection of speculative articles on how artificial intelligence and driverless vehicles might be programmed or one day on their own come to hold Nature in deference or reverence really resonated with us. We will volunteer with others of course to help ferry them across but there is still an awful lot of carnage in the single lane road that separates the woody hills from the valley. What if autonomous cars and lorries meant not only a sharp decline in the number of human deaths but also meant the end of roadkill? We imagine, given the relatively neat and tame environment of the streets, that learning to recognise erratic and wild animals—and surely this feature is already figured into the algorithms with stray pets as potential hazards—would present a big challenge but perhaps the machines will out-perform their operators. Though dodging deer and boar and livestock won’t necessarily restore the balance of the natural world that we’ve thrown into disarray and there’s even the potential for more suffering with more creatures crowded into less habitat, the idea that cars might respect animal right-of-way by taking different routes to avoid migratory or breeding paths was quite intriguing. Like the trolley problem of computer ethics, future vehicles might need the hint, the protocol that maxmising the number of lives saved outweighs human convenience or profit but once taught this directive, the lesson is not prone to being countermanded by greed or laziness. Writing for the Atlantic, Jen Maylack invites us to reflect on how a seemingly elementary idea, the not-so distant ancestor of the modern terrarium, changed the course of the world—heralding in not only global trade but also the spread of Western colonialism and the spread of invasive species. As basic as the principle underlying it is the Wardian Case was so revolutionary as to be the realisation of all the past endeavours of the alchemists—achieving a hermetic seal, that is, staving off the advance of time that defines all us mortals—with just as far reaching repercussions albeit in an unexpected form: a self-regulating environment that would capture in microcosm a plant’s natural habitat and perpetuate it at least long enough for it to become a transplant in a botanical garden or another area that afforded similar climes and growing conditions. 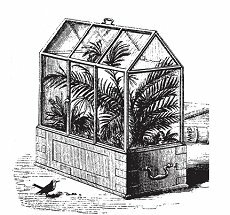 The invention of the portable greenhouse came about just in 1829 when a physician and garden enthusiast (with a special obsession for ferns), one Dr Nathaniel Bagshaw Ward, lamented how London’s polluted air was killing off his prized collection and learned through trial and error that if prepared correctly that the right moisture levels could be maintained within a closed-system, by extension enabling the possibility of long-distance shipping incrementally to our present world of year-around availability fresh fruits and vegetables, regardless of one’s location—which of course have collateral environmental and geopolitical costs associated with them. Despite all the bombastic claims, the US imposing a seemingly crippling, trade-war signalling tariff on Chinese aluminium has little relation to the reality of economic repercussions with the assault as a bureaucratic-foil since American assets that Trump is seeking to privilege are already producing at capacity, these posturings represent something significant. In the same way that this regime would proffer the dismantling of the federal government as it is known and reduce it to its component parts betrays a woeful ignorance of the role that each department and agency plays in vouchsafing the country, its natural resources and material wealth, the stability and prosperity of future generations is being traded off wholesale to champion the mood and sentiment of the moment. While Dear Leader is liberal with his grace and favour postings—though slow to fill some of those sinecure positions where the opportunity to appear tough on bloated, expansive government is a greater enticement—and the competency of the office-holder (or the continued vacancy) does not seem to have momentous impact, those scientific studies and internships that go unfunded and policy that goes undrafted and undebated do matter immensely and is not administration for its own sake. We see who really benefits from this embargo against Chinese aluminium, despite how its framed, and like the science and service of various government agencies that are easily taken for granted because we don’t see them, aluminium foil is pervasive as a packaging and preservative material and component of almost all manufactured goods. We ought to take a critical eye to civil service and make certain that the public is getting a fair return on its investment but we also ought not be so easily swayed with sophistry just by dint of the unfamiliar. I was intrigued to learn about an episode of German true crime and an unsolved mystery that spanned over six years of extortion, shopping centre bombings, Scrooge McDuck and thankful no fatalities with the story of Arno Martin Franz Funke, a reformed blackmail artist. 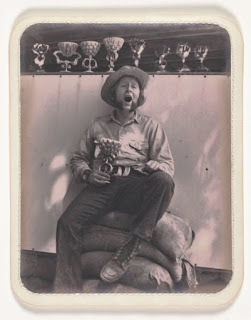 From his childhood, Funke was a tinkerer and an avid hobby chemist and holding down a series of odd-jobs also discovered a talent for illustrations and painted van art—among other things—to scrape together a living but few lucrative commissions were forthcoming. 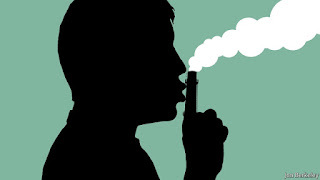 Much later while on trial for extortion and public endangerment, it was discovered that the fumes inhaled while working in auto body shops caused some brain damage and perhaps was a contributing factor to the bouts of depression that Funke constantly dealt with—to include the conception of his criminal career. 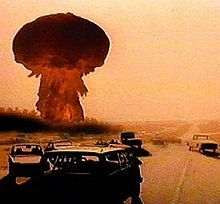 In May of 1988, placing an anonymous call from a pay phone to authorities in West Berlin, Funke demanded a sum of half a million Deutsche Marke from the largest German department store Kaufhaus des Westens (KaDeWe) and to prove he was a force to be reckoned with, detonated a bomb in the store after-hours causing serious damage. With the money delivered surreptitiously and investigators having no leads, Funke was able to take a sabbatical and travelled until the cash ran out. Struggling again with his mental state, in 1992 Funke decided to target another chain of department stores in Hamburg and Berlin and quickly became a sensation. Spying an ad in the classifieds that simply read “Uncle Scrooge sends greetings to his nephews” (Onkle Dagobert grüßt seinen Neffen), it imprinted upon Funke as a cryptic message and a clear sign as to whom his alter-ego, his spirit-animal was to be. There were nine more ransoms over the next two years with retailers terrorised and the public, enlisted to help identify this individual captivated with his elusive and technical abilities. Spectacular feats of destruction were pulled off without the loss of life and police had grown obliging in placing the extortion money in lockboxes of Funke’s own design at an agreed upon remote location by train-tracks that would retreat speedily and sleathily along rail to Funke for collection further down the line. There were “Ich bin Dagobert” t-shirts and a novelty rap song singing his praises as a folk-hero. I think that this audacity didn’t make much news outside of Germany, at least to my recollection, because for America was dealing with the Unabomber around the same time, who did not quite fit into the same category. Despite his meticulous efforts to cover his path, regular shopping patterns at an electronics shop eventually led to Funke’s apprehension. After serving his sentence, Funke’s celebrity has seen a resurgence with various appearances on reality television. Moreover, Funke has been a consultant for heist-films, and drawing on his early interest for graphic design has become a regular contributor as caricature artist for the German satire magazine Eulenspiegel, often executing the cover art. It’s a little astounding to consider what the cultural touchstone with a cult-following that the animated science fiction sitcom Futurama has garnered despite its cancellation after an initial four-season run—later revived and drawn out with three additional non-consecutive ones, especially against the creators’ other series, The Simpsons, which is quickly approaching its third decade on television. We especially enjoyed this primer from the Daily Dot on the outsized number of internet memes (which seem resistant to being coopted by danker, darker agents) that the series inspired and suspect that you will as well. I went to the other bank of the Main river and joined compatriots (despite not dressing up—I’m sure a union suit would have kept me warmer) in the courtyard of the Osteiner Hof of Mainz as we celebrated the beginning of the so-called fifth season, Fasching, that carries one’s spirits through the dreary days of winter all the way through until Lent.